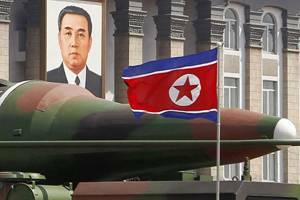 "North Korea has conducted three nuclear tests, but still doubt that the North has a nuclear warhead that can be mounted on a missile," said the South Korean Defense Ministry spokesman Kim Min-seok told reporters on Friday (04/12/2013). Min-seok added, that the North is "heading to the stage", in which the communist state could do ministurisasi nuclear warheads for missile deployment. Min-seok's statement was a response to the findings of the U.S. Defense Intelligence Agency (DIA), which declare Pyongyang could launch a nuclear warhead. On this occasion, Min-seok also stressed that it has not seen a large movement of the Armed Forces of North Korea carried out in recent days. "There is no big change," he said. At present, the situation on the Korean Peninsula is warming. North Korea has several times issued threats against South Korea and the U.S., after the communist country's new sanctions by the United Nations. The new sanctions imposed, since North Korea conducted a nuclear test again on 12 February. In addition to spread threats, North Korea has also issued a warning to the staff of diplomatic and foreign representatives in Pyongyang, as well as a warning to foreigners residing in Korea. The warning contains appeal for foreign nationals to leave the South, because the war could erupt at any time. While the diplomatic staff of the countries sing in Pyongyang, in considering the request for evacuation.